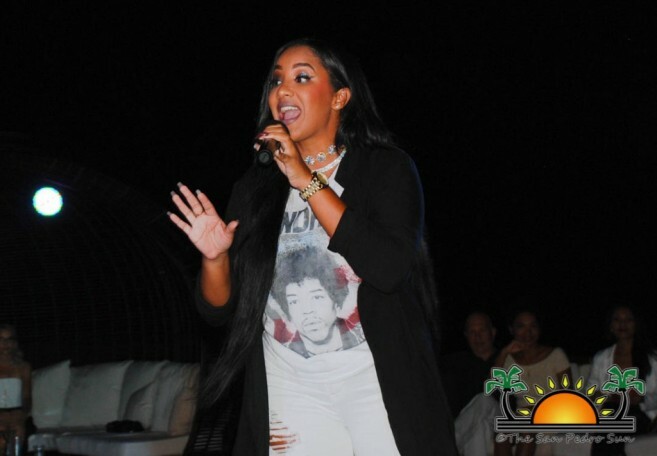 Newer: » Foreva Fancy hits the runway—Christmas Style! 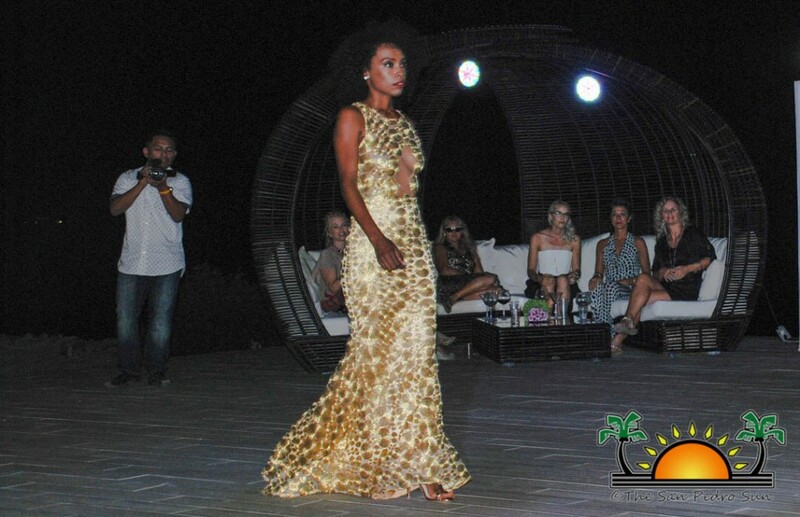 Another successful charity fashion show took place at Acquafino Island Resort and Spa on Saturday, November 26th. 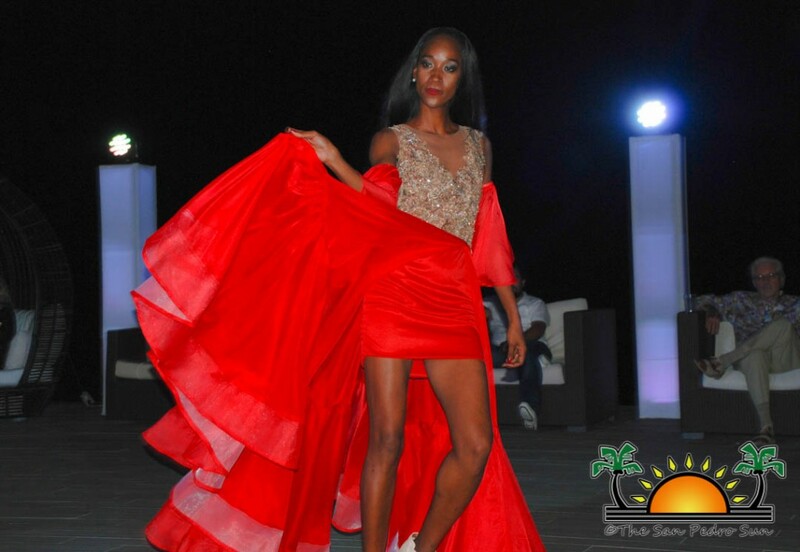 Hosted by Paradise Guy Productions and Zuzana Maros in collaboration with the Ambergris Caye Rotary Club, the show featured two international designers with proceeds benefiting the paediatric unit at the Karl Huesner Memorial Hospital (KHMH) and Rotary Gift of Life Foundation. The glamorous event was well attended by both locals and foreign visitors. Attendees, dressed in white or purple, made their way to the private island located just west of San Pedro Town starting from 5PM. The admission fee of $120 which included the complementary boat transportation as well as dinner at the event. While everyone waited for the show to kick off, guitarists and vocalists Giselle O’ Brien and Tsunami Nick kept the crowd entertained. A cash bar, with proceeds also benefiting the charitable organization, provided cold drinks and refreshing cocktails. By 8PM the show was about to start and attendees took to their seats in anticipation for a great fashion show. The first set of designs came from fashion designer Guillermo Allayon from Merida, Mexico. 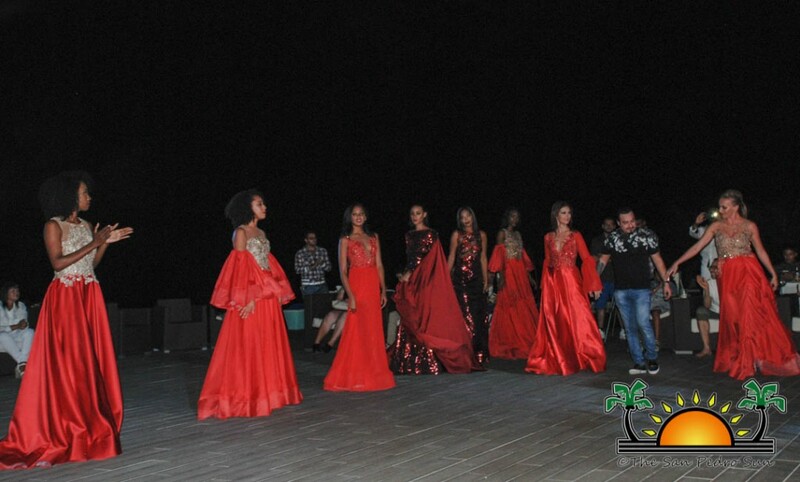 His collection consisted of sleek, elegant and even glittery gowns perfect for that special occasion. 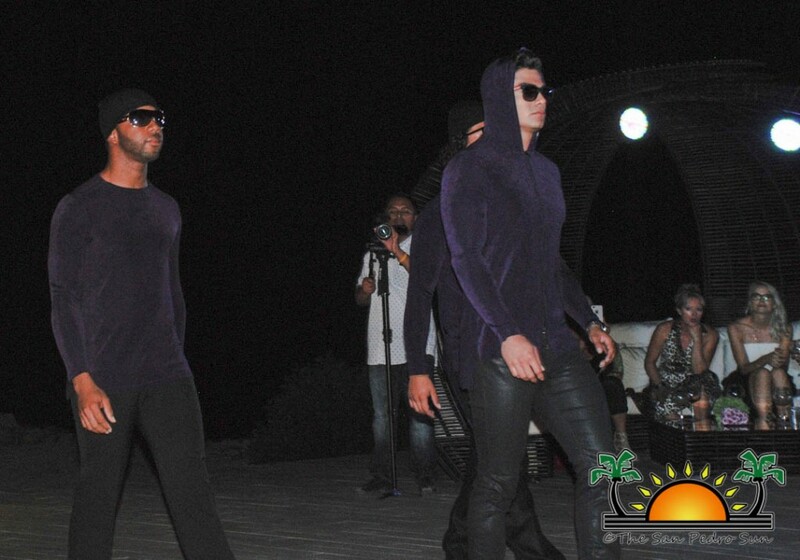 On lookers were impressed as each model strutted the runway. 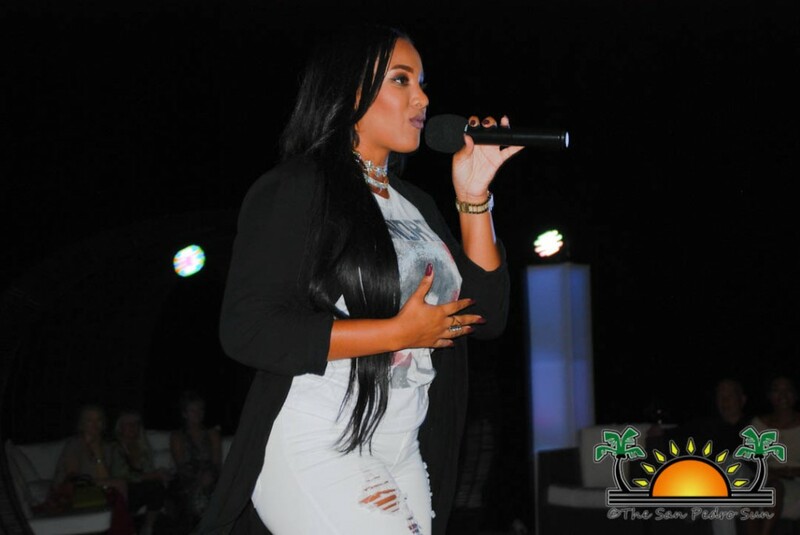 At the end of the first segment, Belize’s very own international recording artist Tanya Carter took to the stage. 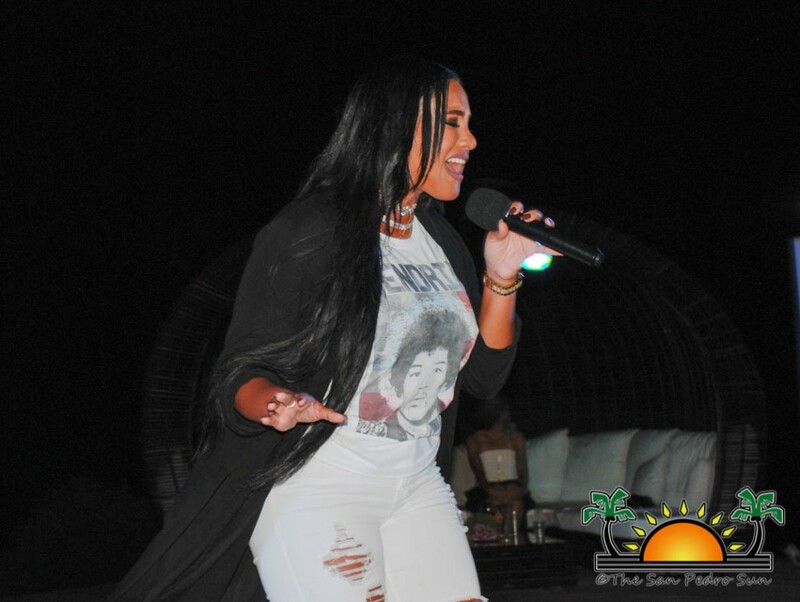 Brining her reggae vibes to Acquafino, Tanya had the crowed grooving to her smooth melodious voice and upbeat dance moves. 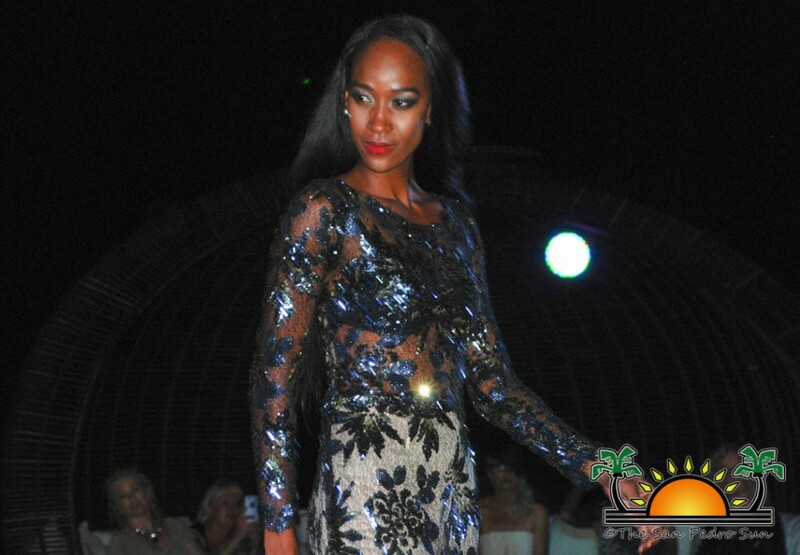 Next up, was a lingerie show featuring designs available at Star’s Island Fashion, a local boutique in San Pedro Town. Tanya even joined in, to serenade the lovely models as they fiercely walked the runway. The last fashion collection to be featured was from another Mexican designer, Martin Lopez. 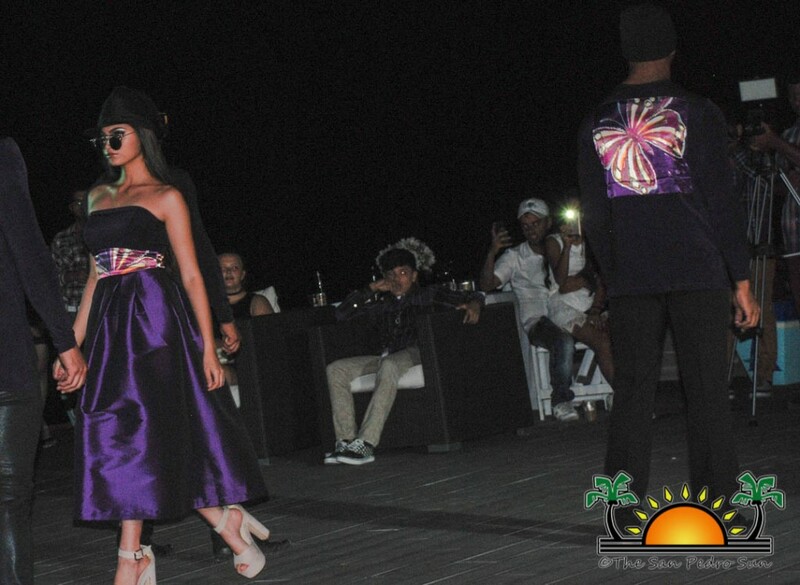 His collection was inspired by the Spanish culture and highlighted the colour purple. From gown, to skirts and even pant suits, the models showcased each design brilliantly. At the end of the fashion show, president of Acquafino William Narod shared some words with the attendees. “This fundraiser is all for the children of Belize. The funds raised tonight will benefit the paediatric unite at the KHMH which is in subpar condition. 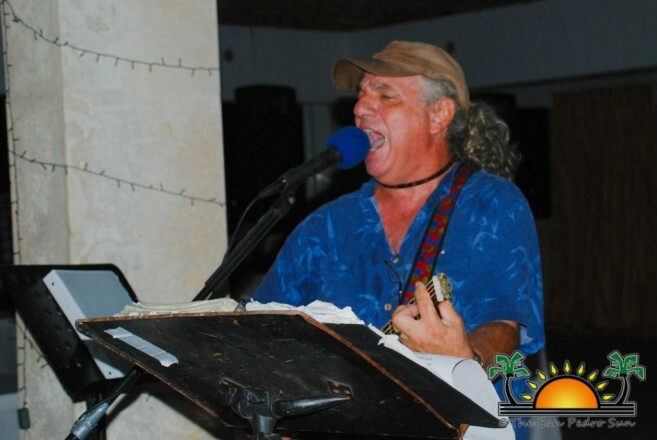 We are also grateful to the Ambergris Caye Rotary Club for promoting this event and for all that they do for the island. They do things for everyone but the focus that we love is that they help the children in particular. 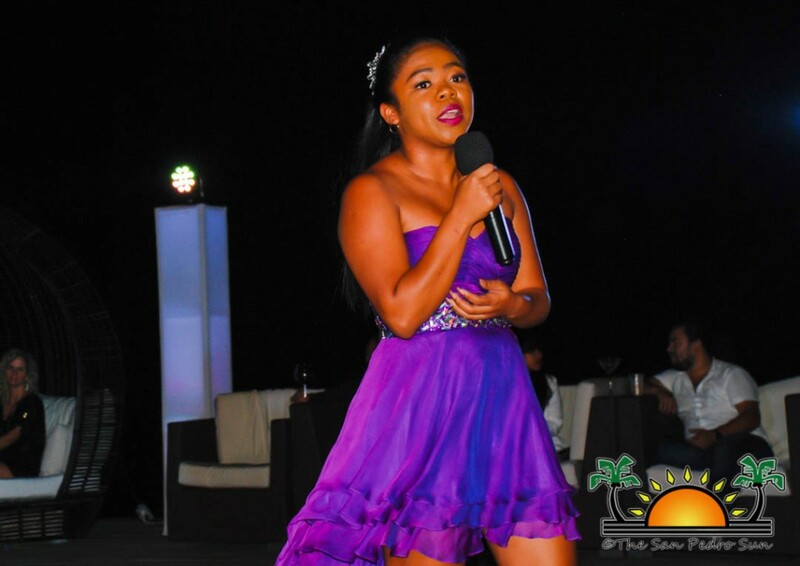 Because they focus on the children we will continue to partner with them to promote events like tonight which allows us to give back to the children of Belize,” said Narod. DJ DZL then took over, pumping out the latest tunes as everyone took to the dance floor. Organizers would like to thank all businesses that donated towards the event. Special thanks goes to all attendees who made the night a success.